Well, I'm pretty sure that in my last post I was complaining about the cutting garden having disappeared under 10 cm of snow. We are now experiencing the hottest April weather in 70 years! Not that I am complaining, its just that I (and my milk-bottle legs) am not quite ready for mid-summer temperatures when it feels like spring only arrived a couple of weeks ago. 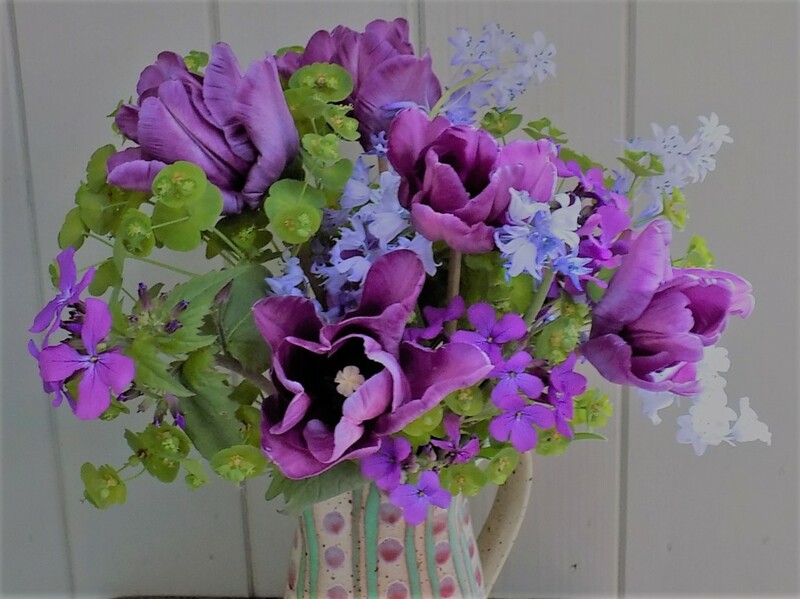 April sees the first of the tulips in flower where they join the primroses, cowslips, grape hyacinths, fritillaries, drumstick primulas, Euphorbia amygdaloides, Erysimum 'Bowles' Mauve', pulsatillas and forget-me-nots. 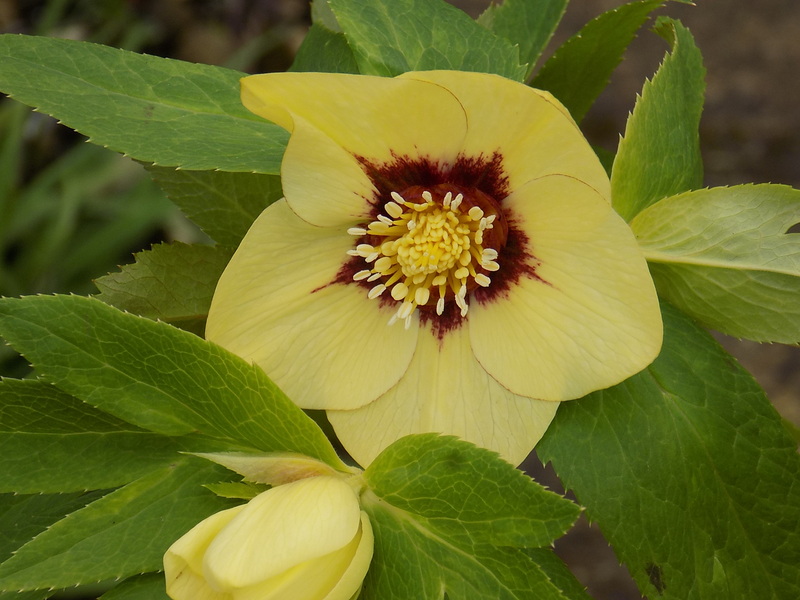 It is so satisfying to see the abundance of spring flowers, knowing that this is just the start. 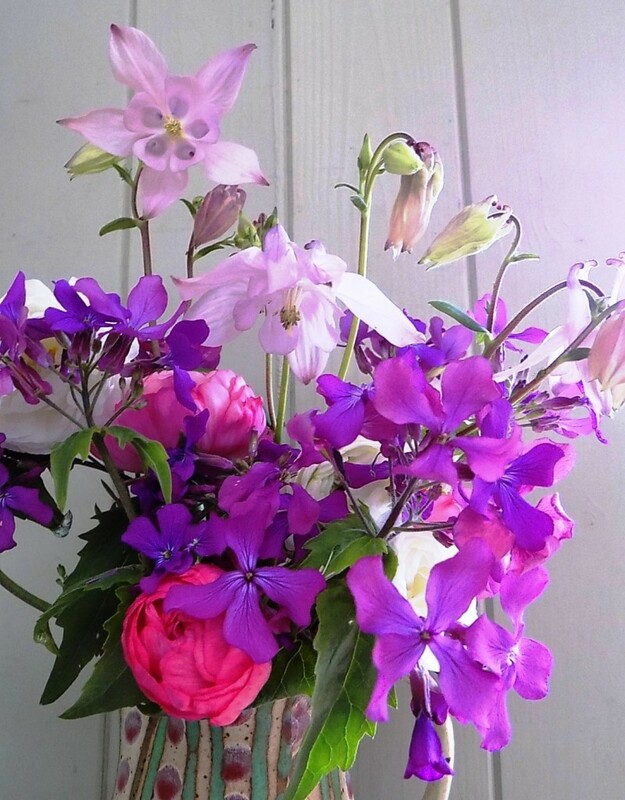 The bluebells, wallflowers, thrifts and foxgloves are following not far behind! 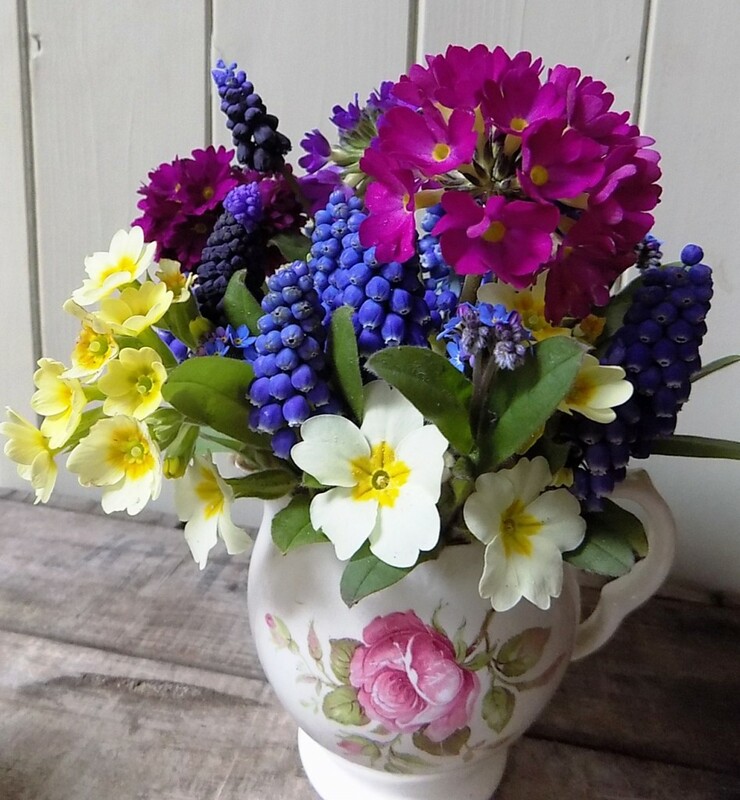 Grape hyacinths, Primroses, Cowslips and Drumstick Primulas. 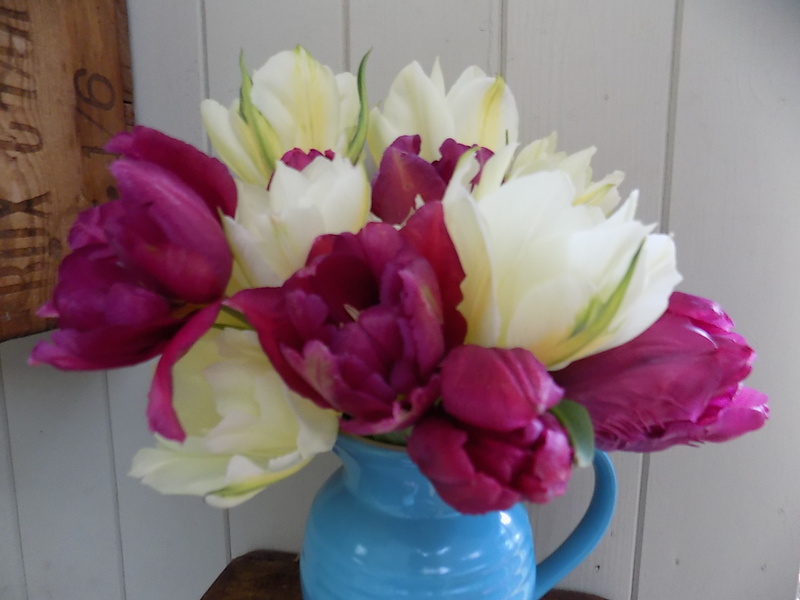 When choosing tulip varieties ensure that you choose some early flowerers (e.g. 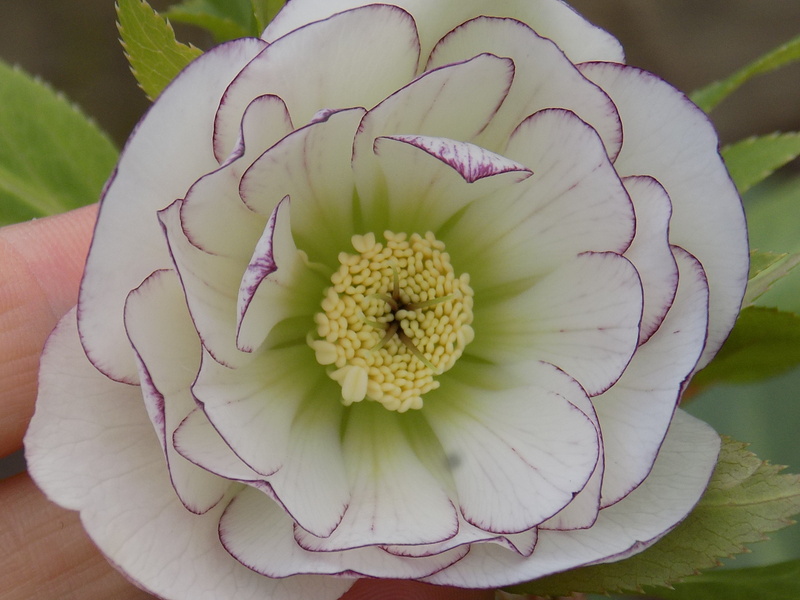 Exotic Emporer and Showcase), some mid-flowering types (e.g. 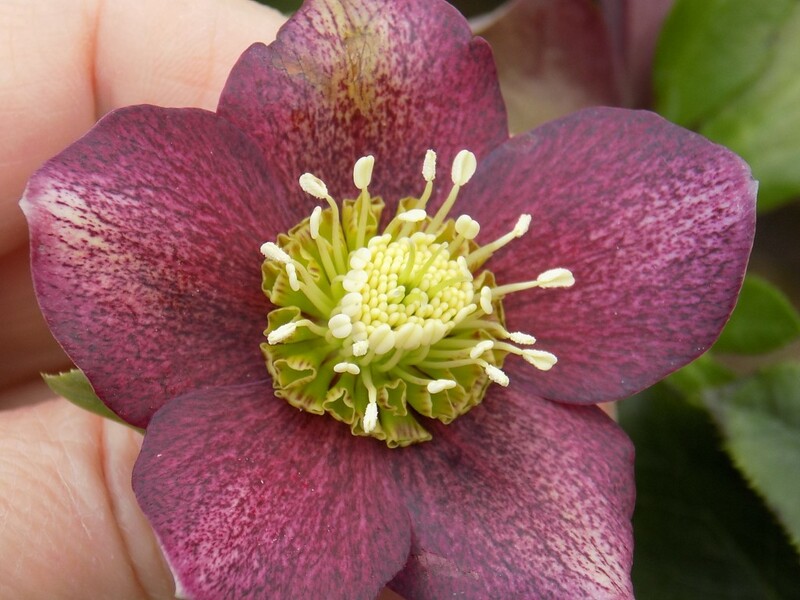 Negrita and Paul Scherer) and some late flowering varieties (e.g. Angelique and Doll's Minuet). You can then extend the picking season for as long as possible. 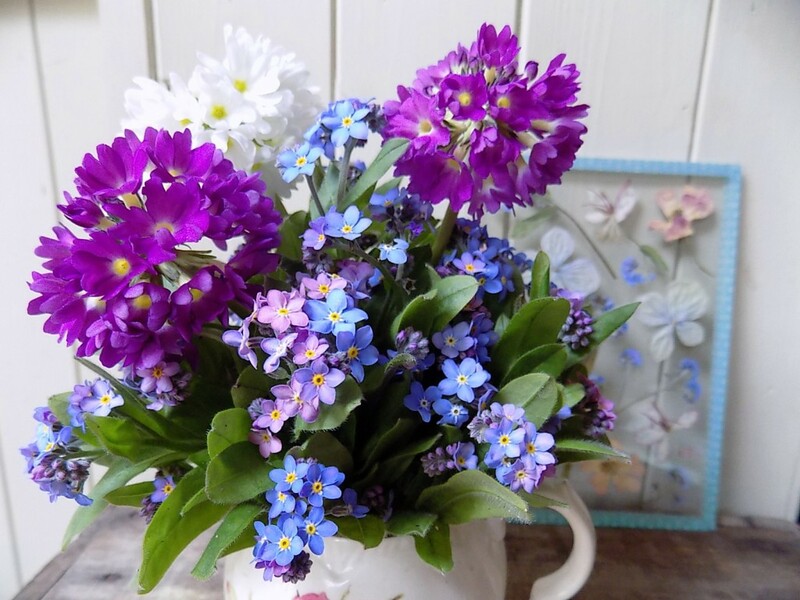 Also this month: I am gradually hardening-off my hardy annual seedlings ready for planting out; I'm sowing batches of half-hardy annuals inside on my sunny windowsills; I am sneakily buying some little primulas, saxifrages and pulsatillas to edge some of the cutting beds; I'm pressing forget-me-nots and primroses in my flower presses for more pressed flower pictures and I'm getting ready to host another 'Grow Your Own Cut Flowers' workshop next week.